While walking through the Point neighborhood last weekend, Claudia and I happened upon a unique garden. 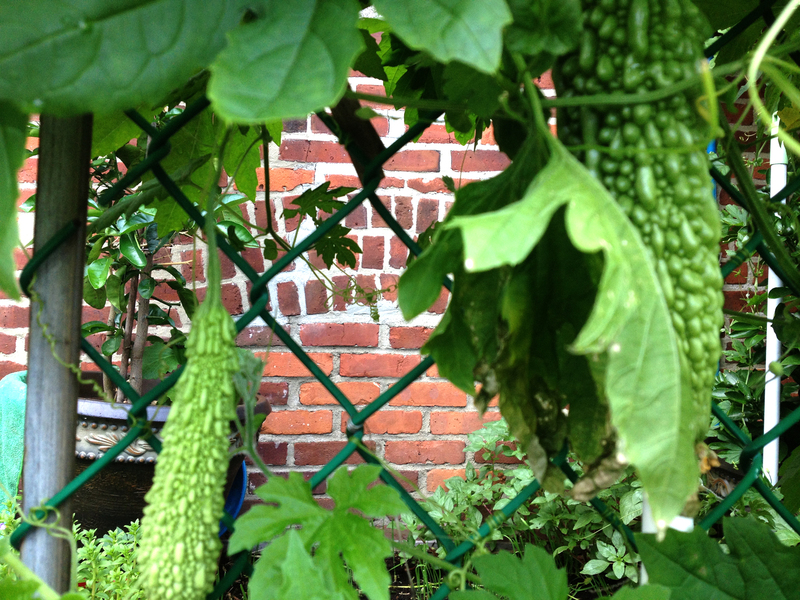 I say happened upon, but I actually sought it out, having come across it on another rambling voyage through the streets of the neighborhood some months before, near the beginning of the growing season. Against a large, brick tenement building, someone has made remarkable use of a long, thin rectangular piece of ground, which sits in the shadow of this larger building. When we’d visited before, I was amazed by the diversity of plantings and the optimal use of every inch of space between the fence and the wall. 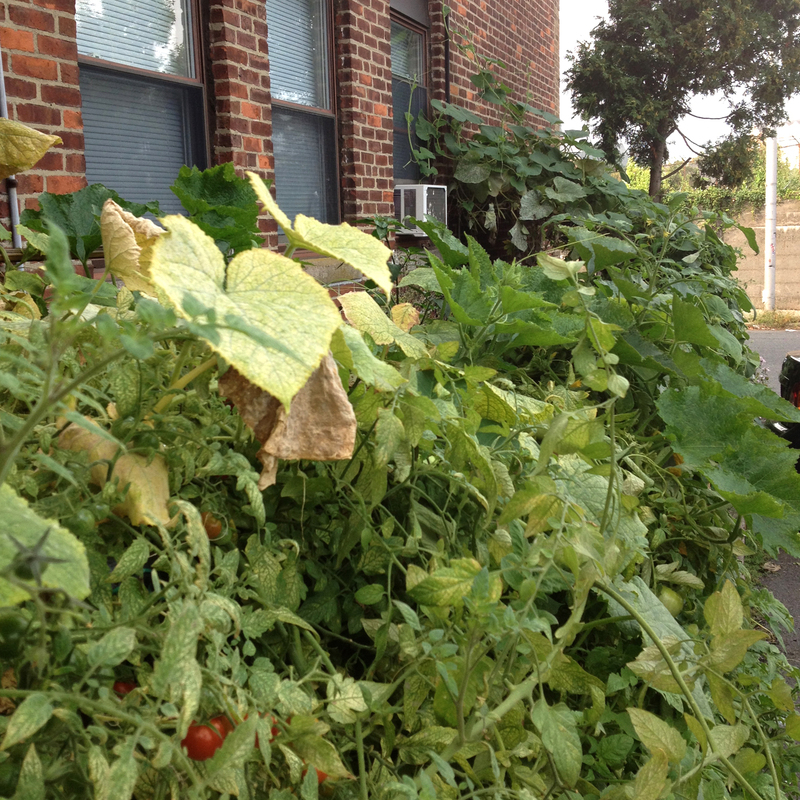 Herbs of all sorts grew abundantly, as well as larger plants that I myself could not identity. I could not tell whose garden it was, who tended it, or where they came from or went to when not doing so. There was a nearby porch, as well as a gate. Did the person hop over the porch into the garden, or come from the outside? Or was it collectively maintained by a neighborhood group? This patch of green had massively blossomed and grown when we returned. 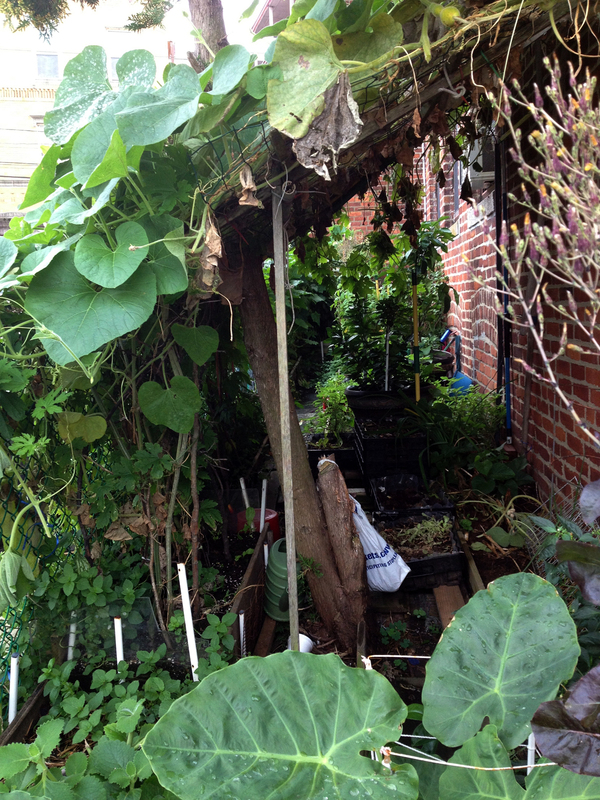 Huge melon plants grew into a massive canopy, which a diagonally placed trellis supported, creating a shaded grotto space underneath it, in which smaller plants grew and various soils were perhaps mixed. It looked like a cool, reflective space of contemplation, despite being cramped, and reminded me of the green spaces I myself had always sought out behind my house to hide in as a child. 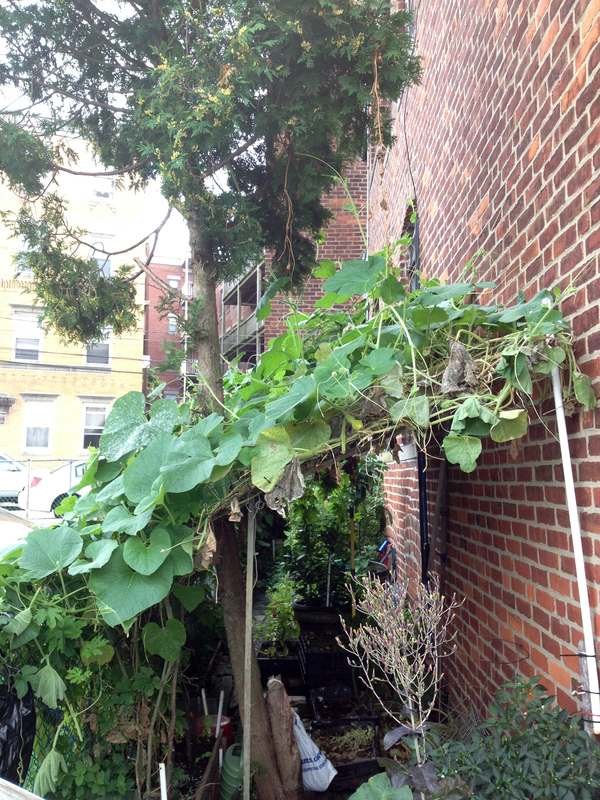 The space continued to be optimally used on our return voyage this week…there was almost no empty space, and strange squash with the appearance of melted wax grew healthily in the fence itself, climbing up it towards the massive melon canopy. 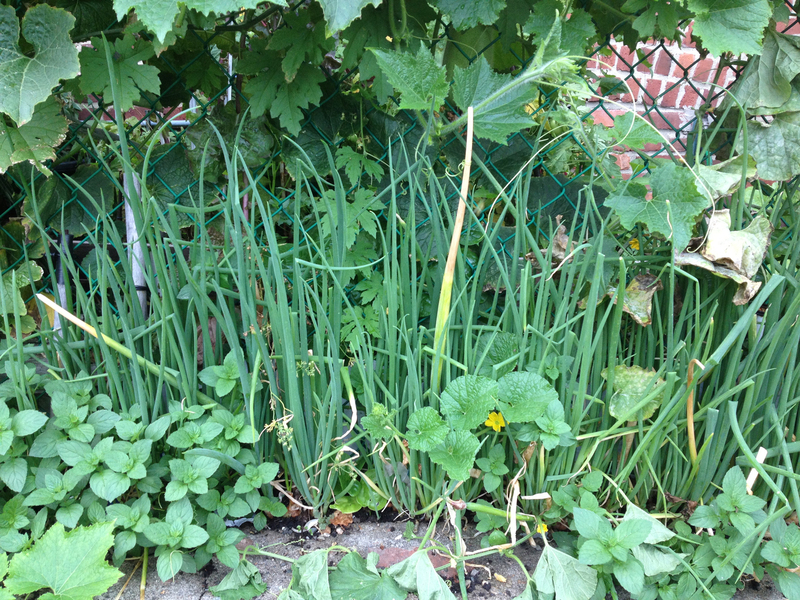 Onions grew outside the fence, and remained unmolested. It was clear this was a special and honored place by the community that both surrounded and maintained it. This entry was posted in The Beauty of the Point and tagged appropriation, care, collective work, community, creativity, creativity in public space, cultivation, gardens, Michael Jaros, photo narrative, reflection, Salem MA, secret garden, the point by jellybeancity. Bookmark the permalink.